By wiring a subpanel, you can reduce the number of lights and receptacles on a single breaker and dedicate circuits to particular appliances or other purposes. Subpanels can be purchased with various amperage and breaker slots, and some full-service panels can be used as a subpanel as long as the bonding bar is removed. The wiring procedure for a subpanel is not overwhelming, as the most challenging part comes in the planning. 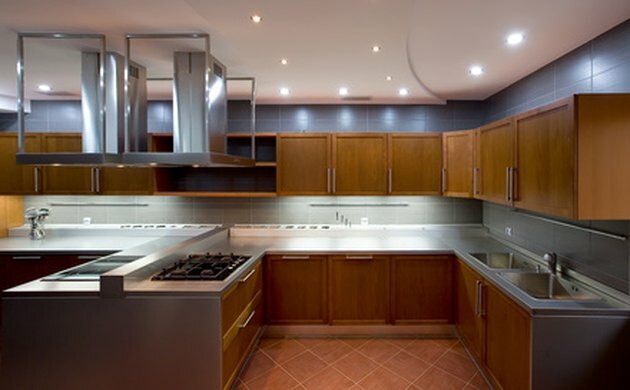 Add a subpanel to accommodate additional appliances when remodeling. Obtain the necessary permit for the work and make a list of the number of breakers that will be required of the subpanel. Check what size cable you will need for the amperage chosen and the length. For example, 6-3G cable is designed for 50 amps when the length of wire does not exceed 55 feet. Beyond that length, a thicker wire is required, due to the voltage drop. Map the wiring route and drill any holes necessary for the wire to run and be supported. Ensure that the wires are properly supported at least every 48 to 54 inches if you are using staples. To get a clear idea of how long the wires will need to be, use a piece of rope and run it as if it were the wire. Make sure to allow for the extra length of wire entering the subpanel to connect to the terminals and a little extra to allow for errors. Mount the subpanel to the wall so that it is flush between studs. An alternative is to surface-mount the subpanel on plywood if you don't have stud walls. Run the wires into the subpanel through the knockout options that provide optimal placement of wires. The top of the subpanel has two brass terminals that are for the black and red wires. Secure them in the terminal by tightening the screw. Connect the white neutral wire to the neutral bar and the bare ground wire to a ground terminal. The neutral bar should have a lug to connect the wire, and the ground should be a separate bar of terminals that attaches directly to the box. Run the wires into the service panel through the cable clamp attached to the knockout. Secure the wire by tightening the cable clamp to ensure that the wires will not move. Connect the black and red wires to the 50-amp breaker and tighten the screws. Connect the neutral wire to the neutral bar and the ground to the grounding bar. Check that the wires are properly secured by pulling gently to make sure that the wires do not come out easily.